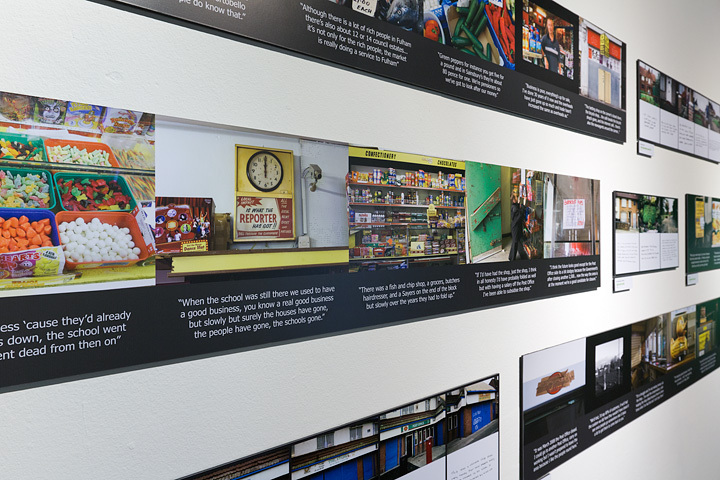 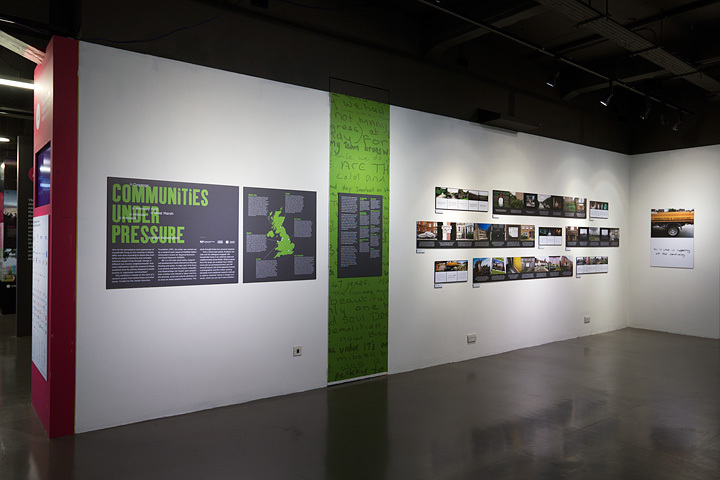 The art work produced during the 'Living Through Change' project was presented as an exhibition entitled 'Communities Under Pressure' at New London Architecture, The Building Centre, London, from the 16th June to 15th July 2011 before touring to the six communities concerned. 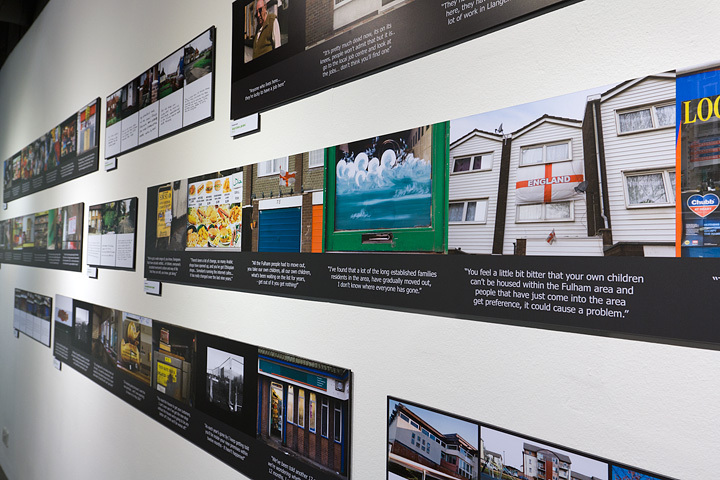 Captioned resident images were presented alongside 'photo-narratives' which mixed photographs with comments from audio interviews to explore key issues. 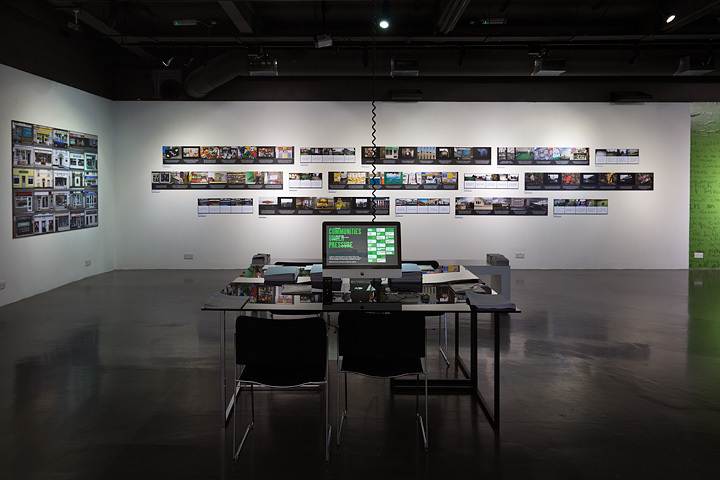 A selection of films from each of the six areas were presented on a number of interactive screens. 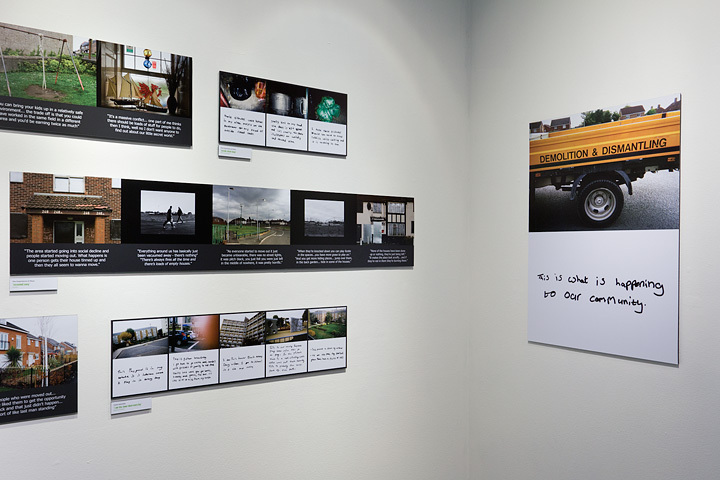 The exhibition was accompanied by a policy seminar with four guest speakers attended by over 50 delegates. 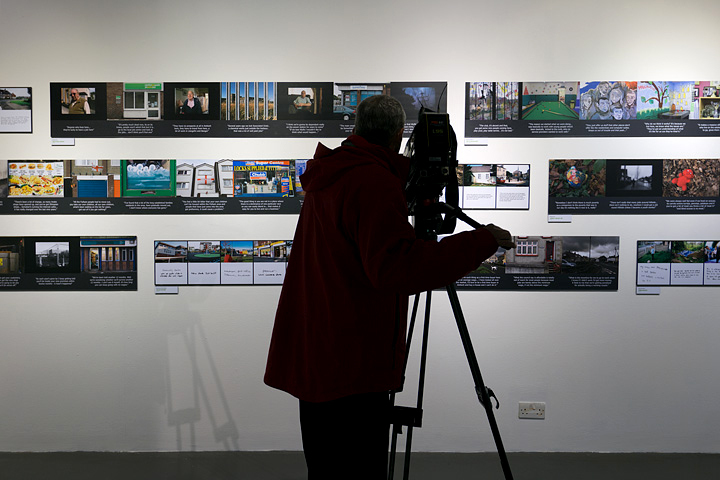 The exhibition opening also marked the launch of the final JRF report. 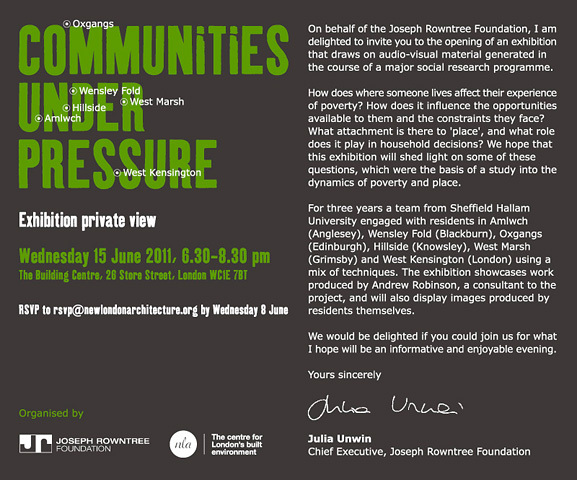 A press release from the Joseph Rowntree Foundation announcing the event is available to download HERE. 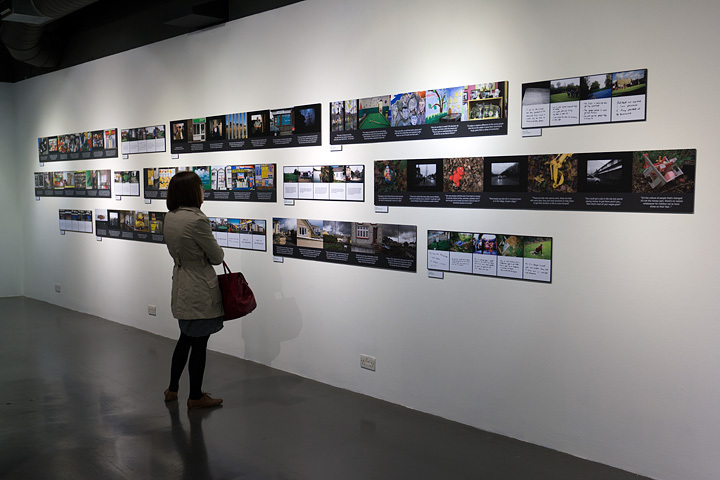 Guardian coverage of the exhibition can be viewed HERE and HERE and a review of the exhibition in the Morning Star can be viewed HERE.